Item # 310845 Stash Points: 2,995 (?) This is the number of points you get in The Zumiez Stash for purchasing this item. Stash points are redeemable for exclusive rewards only available to Zumiez Stash members. To redeem your points check out the rewards catalog on thestash.zumiez.com. 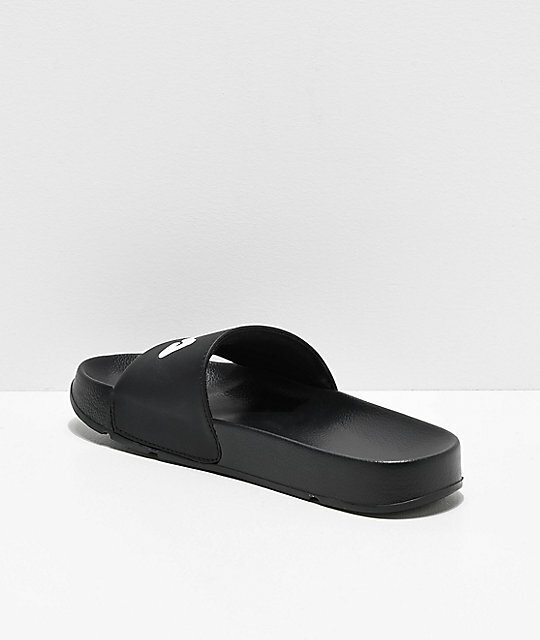 Take your athleisure style to the beach or pool with the Drifter Black, Red & White Slide Sandals from FILA. 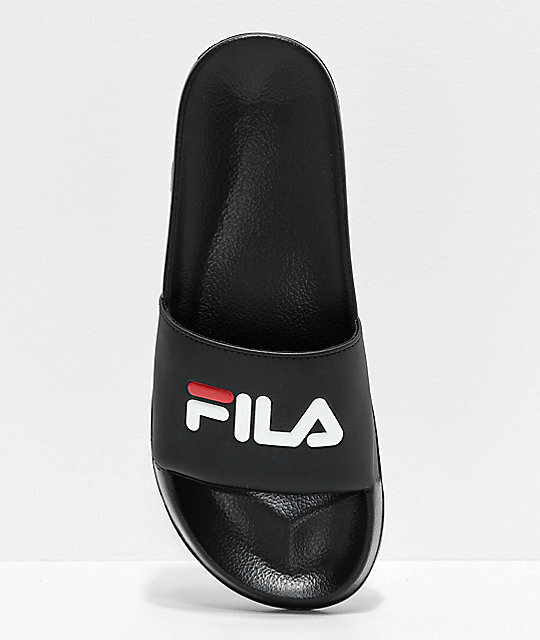 These black slide sandals feature a cushioned footbed and a debossed FILA logo at the faux leather strap in white and red, for unmistakable branding from your favorite streetwear brand. 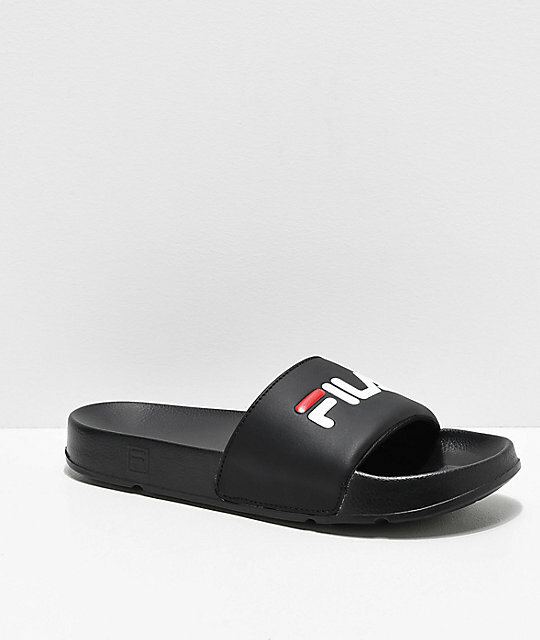 Drifter Black, Red & White Slide Sandals from FILA. Red & white FILA logo on the faux leather strap. Soft black textile liner for comfort. 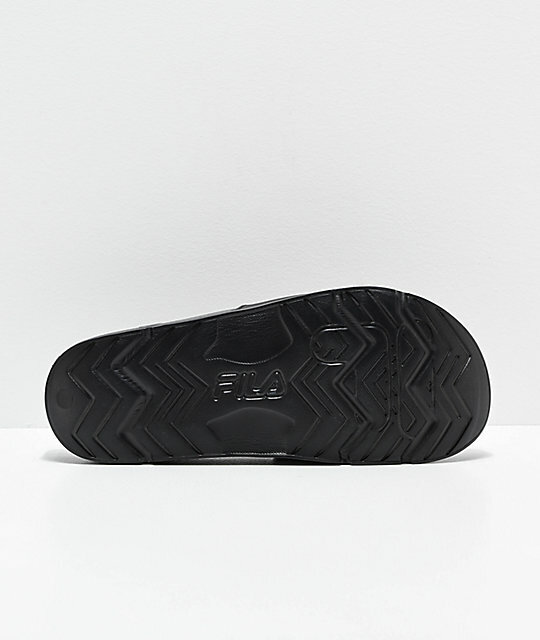 Rubber outsole with FILA tread for grip.